As the government machinery goes up a gear to promote the latest launch of Battle for Merger, maybe we should slow down and think why we have come to this juncture where the government frets that Singaporeans will one day forget our roots, and how historical debates are only the concern of a very very small group interested persons. Yes, materialism is one main reason because of how our small island state has been tuned to survive through economic relevance in the global markets. Another reason is really because the education system has been giving local history a stale treatment, explaining how each stage of historical socio-economic development was lacking until PAP came along. I am sure all A level history students can attest how histories of China, India and modern Europe was much more interesting than local history. 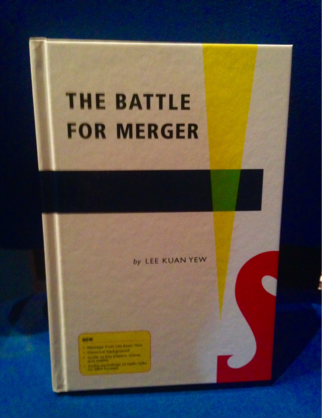 The Battle for Merger was actually a series of 12 radio talks given by Mr LKY in 1961 in English, Malay and Mandarin. He argued that the Malayan Communist Party had used violence and sought to prevent the merger of Singapore with Malaya. But why should anyone read what this man has to say? Well, if one desires to get as close as possible to a historical truth, one should read and analyse from a variety of sources and not just depend on British, American or Communist sources to tell a version of events. Although I am quite sure some are just quite dismissive of Mr LKY because of what they went through under him rather than what they read of him. But surely it is important to read what he has to say if you want to understand the historical circumstances of Singapore, because LKY was one of the main actor. And the main reason why you should read (but you may not agree) is the fact that after all has been said and done, an large majority of Singaporeans, at that time (in 59, 63 and 68) voted PAP/LKY into power, believed in their ideology and trusted the PAP with their livelihoods. You may argue that LKY won because he removed the opposition, but the same could be argued that if the support for opposition was so strong, they would have spoiled the votes, revolted and protested in the streets...but they did not. It passed its test of legitimacy although not with flying colours, some might argue. A compelling point to remember when reading this book is - to argue his points, LKY, (in 1961, still not all-powerful as he would be in 1965), was very open about his personal encounters with British officials, the UMNO politicians, the Communists, the Leftists and even his own colleagues - and to date, there has been no noteworthy contestations to the version of events as he presented it. 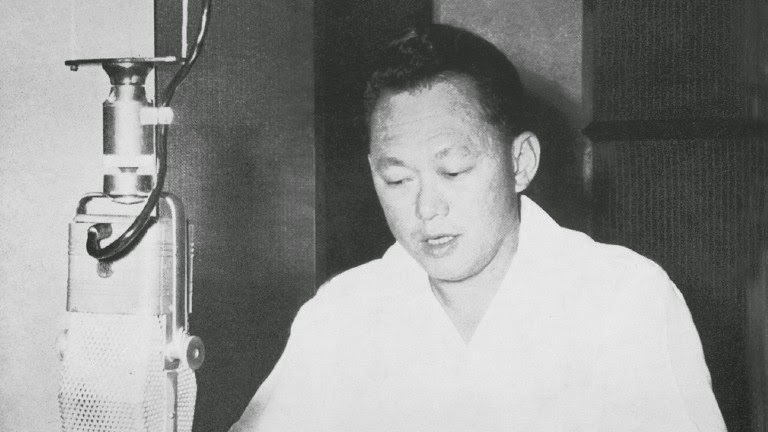 For example, in The Battle for Merger, LKY shared a thereafter oft-quoted story where he met the PLEN, otherwise known as Fong Chong Pik, a powerful representative of the Communist Party of Malaya, in 1958. The PLEN was proposing that the PAP work together the CPM to form an anti-colonial united front. LKY was hesitant as the communists then were lending their support to David Marshall's Workers' Party. To verify that the PLEN was as powerful as he claimed, LKY asked the PLEN to prove his good faith by asking pro-Communist trade unionist Chang Yuen Tong to resign from the WP and City Council, so that David Marshall and WP can go on their own without communist support. Several weeks later, Chang Yuen Tong did just that. The PLEN had proven his credentials. And WP failed miserably in the 1959 elections. Now, you might ask, how does that square with the latest assertions that trade unionists and politicians arrested during 1963 were not communists but merely leftists? Was Chang a lone wolf or just one of the many communist-inspired pawns that CPM could move? If so, who were those keeping their allegiances and associations secret? 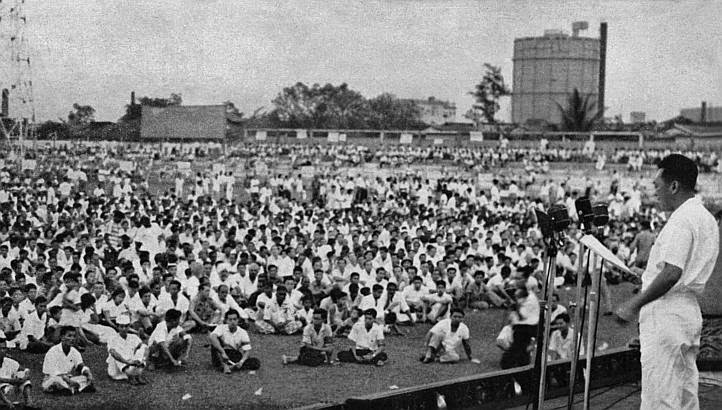 Another example, in 1959, after LKY secured the release of Lim Chin Siong, Devan Nair, Fong Swee Suan, Sidney Woodhull, James Puthucheary and Chan Chiaw Thor, (who were detained by the Labour Front and Brits for suspected communist activities), all except for Lim told to LKY that they not again let CPM make use of the PAP. They declared that if the CPM fought the PAP because of this, they would fight with the PAP against the CPM. To this end, they signed a declaration renouncing communism. In conclusion, as we reaped what they have sown, as those who went before us slowly wither, as our genesis sometimes seemed more like a bad dream, I think it is ever so important for those who care about Singapore's history to pick up this book and read about the people, deeds and events of that era before coming to a conclusion. Some quickies, from declassified British documents in the book, Malaysia: British Documents On The End Of Empire. "I said I had recognised all along that a threat was presented by the communists in Singapore. I had not however previously been convinced that a large number of arrests was necessary to counter this threat. Recently, however, new evidence had been produced about the extent of the communist control of the Barisan Socialis and also there had been indications that the communists might resort to violence if the opportunity occurred. Recent statements by the Barisan Socialis and Party Rakyat supporting the revolt in Brunei confirmed this". "The Communists in the Barisan Sosialis must, they argue, be left to make their mistakes, to commit illegal acts and so to allow themselves to be eliminated by legal methods consistent with the principles of democracy; otherwise we play into their hands. The Tungku, however, is certain that the Barisan Sosialis represents a significant stage, what Mao Tse-Tung calls the 'minimum programme', of a deliberate Communist conspiracy to take over Singapore and that the longer these Communists leaders are left to build up their support the more likely they are to succeed. The whole basis of the United Front technique, as the Tunku well knows, is that it employs legal methods for illegal ends and that it remains invulnerable to normal police action until it switches to the 'maximum programme' and takes over openly for Communism". The old PAP is the current WP. They were able to draw the big crowds. But some things don't change. Having the crowd support doesn't mean what u doing is right. Do u have what it takes to make the lives of Singaporeans better? Or are we still arguing who is communist and who is not? These young academics saying that there was no communist threat based on British archives are quite laughable. Have they lived thru the period? Do they know how communists operate? Ultimately the British approved Operation Coldstore and they did so because they had access to the most secret of documents that the Special Branch produced. LKY couldn't have went for the communists alone. The Brits were on the same train and in fact driving it. Moreover, whatever was declassified would have been filtered and censored.